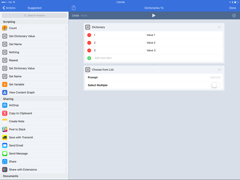 In the first update following Apple's acquisition in late March – and despite rumors that claimed the app would no longer be supported – Workflow has today restored some of the features that were removed in version 1.7.3 of the app (which was released when Apple confirmed the acquisition) and has brought a variety of changes and improvements, including new Apple Music actions. Notably, Workflow 1.7.4 restores integration with Google Chrome and Pocket, bringing back actions that allow users to open webpages in Google's browser and save articles to and retrieve them from the popular read-later service, respectively. While the Google Chrome actions that were pulled from Workflow 1.7.3 could be replicated manually by using Google's documented URL schemes, the visual actions are easier to use and better integrated with other features of Workflow. Similarly, while advanced users could recreate their own Pocket integration by calling the Pocket API from Workflow, the process was inconvenient; native actions enable deeper, faster integration with Pocket, which can be used to save links for later and search the user's saved article history. Today's update brings good news for Google Chrome and Pocket users, but other integrations that had been removed with the March 22 update – including Google Street View, Telegram, and Uber – still haven't been restored by Apple. There are other changes and improvements worth noting in Workflow 1.7.4. By taking advantage of new APIs introduced in iOS 10.3, Workflow can now control the Up Next queue functionality of Apple Music. 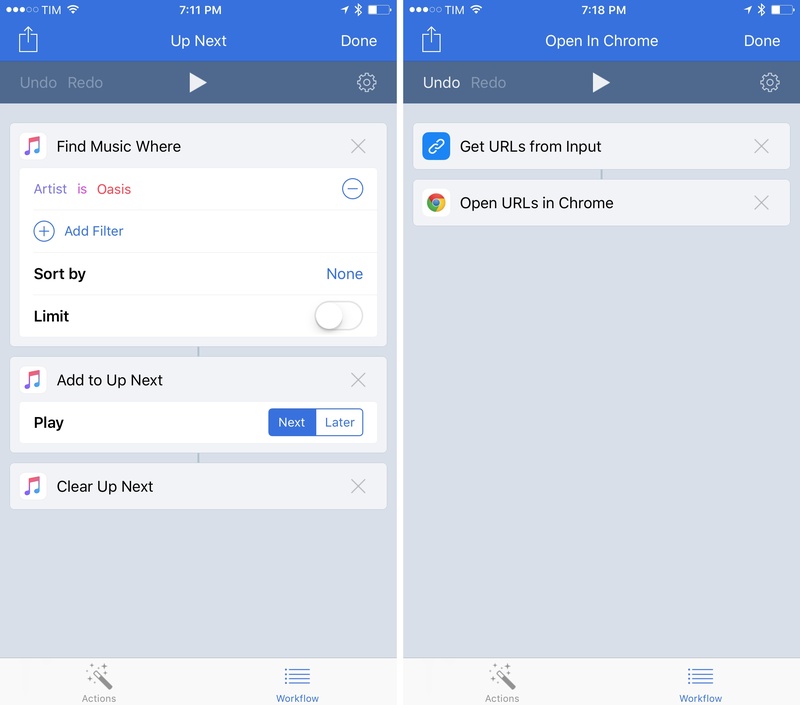 Specifically, Workflow can now add songs to the Up Next queue of the Music app, as well as clear the queue. Alongside Workflow's existing Apple Music actions, this change enables users to select or find songs from their library or playlists, play them, and, for the first time, queue them with iOS' native Up Next functionality. 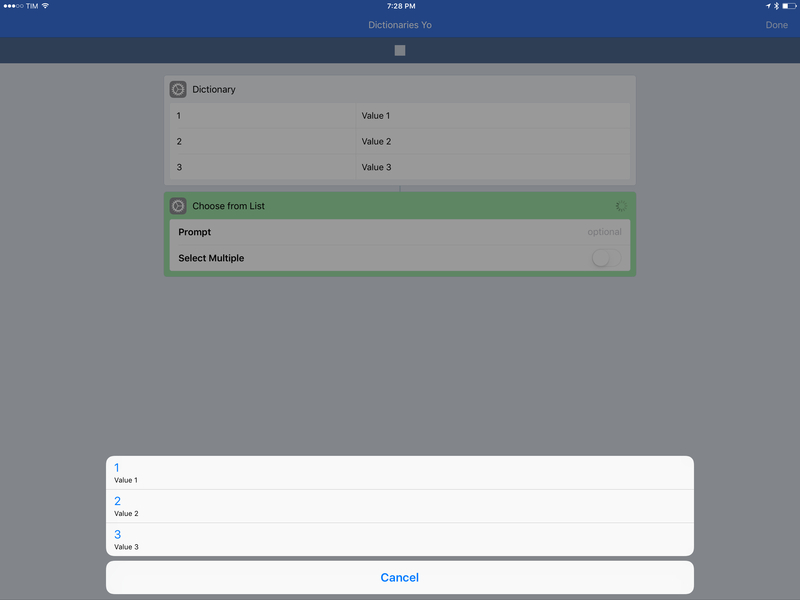 Dictionaries in Workflow 1.7.4 preserve their order when combined with 'Choose from List'. 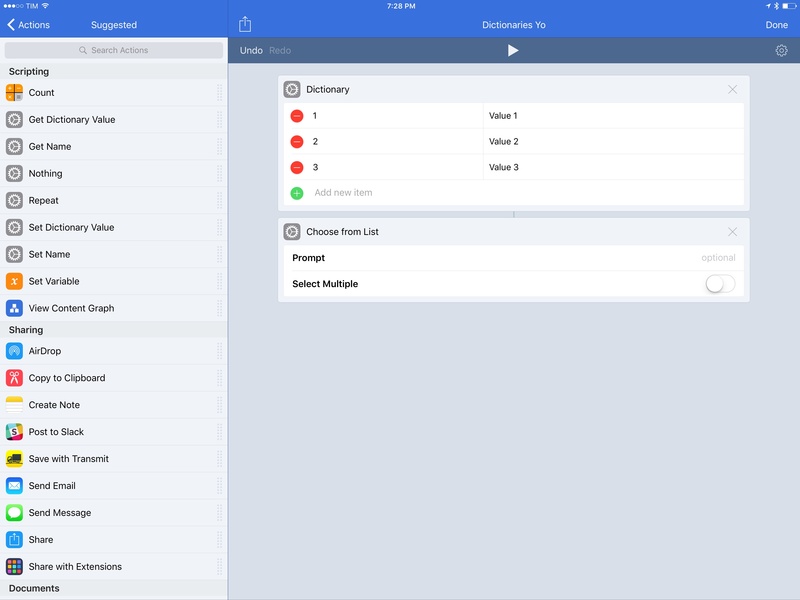 Furthermore, as mentioned in the changelog on the Workflow website, the app has received improved support for dictionaries (which now preserve the order of their items when combined with Lists actions) and the developers have fixed a variety of issues from the previous version of the app. While it's still not clear if Workflow will receive a major update in the future or if it'll become a native system app more deeply integrated with iOS, it's good to see that Apple is still supporting it with feature additions and other improvements. Hopefully, we'll continue to see more of these updates in the near future. 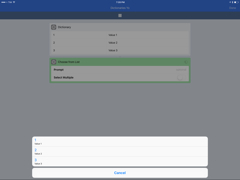 Workflow 1.7.4 is available on the App Store.